Neovascular (wet AMD) has been and continues to remain an important cause of severe visual impairment particularly in the developed world. Recognized as a disease that mainly affects the older population many centuries ago by Donders,1 during the 1980’s and 1990’s the mainstay of treatment was argon laser photocoagulation of the neovascular lesion which affects the macular fundus. The functional outcomes following thermal laser treatment were dismal with the affected eyes of most patients suffering significant vision losses within a two year period and which was confirmed by a large meta analyses (figure 1).2 Notably eyes treated with thermal laser and those in the natural history untreated arms in the many clinical studies, experienced a gradual decline of visual acuity over time with the majority of patients losing 3 to 6 lines of visual acuity within a 3 year period. Figure 1. Wong T, Chakravarthy U, Fletcher AE et al. Meta analysis of 3447 cases showing that on average there is a fall in visual acuity over time. 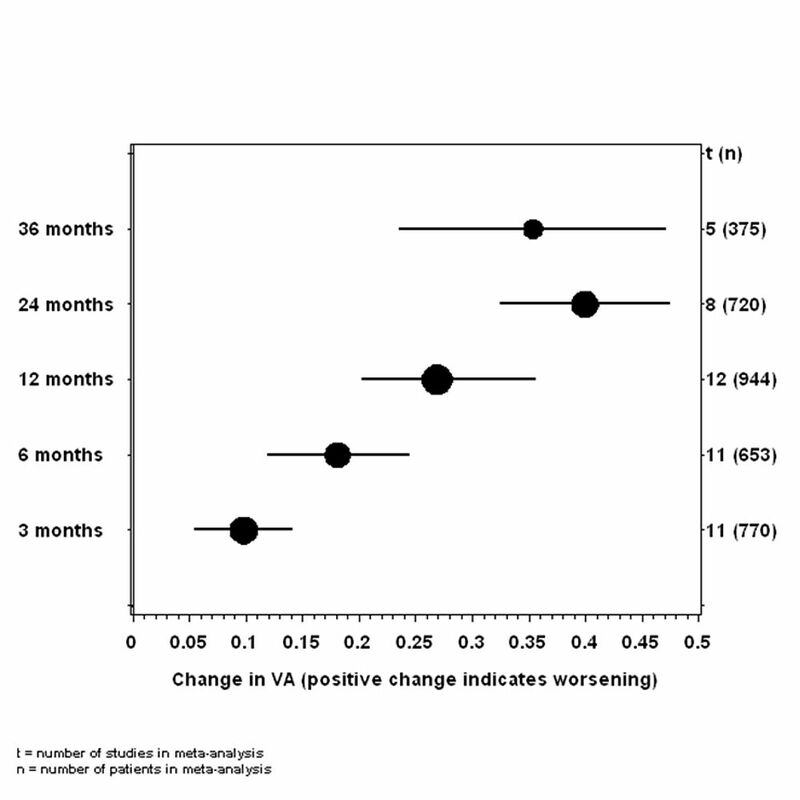 By 36 months the average VA has dropped by 4 lines of acuity. Figure 2: Histological section through an ocular would in the experimental animal eye not exposed to radiation showing extensive granulation tissue invading the fibrin clot (A) 4 weeks after injury. 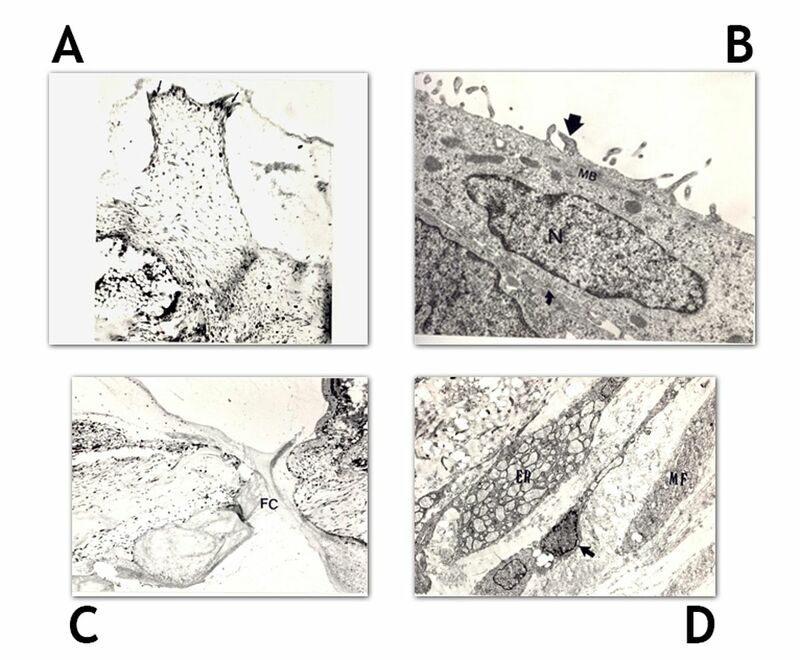 Within this tissue are many tritiated thymidine labeled cells showing active proliferation and on electron microscopy (B) are revealed as highly contractile myofibroblasts. In figure C the histological section shows a similar ocular wound exposed to 16 Gy ionizing radiation 4 weeks after injury . Notably the fibrin clot has not been replaced by cellular infiltrate and the few fibroblastic cells that are present show disorganization and apoptosis on electron microscopy. The concept of repeated intravitreal invasive administration of anti VEGF drugs was first introduced in the pegaptanib (macugen) clinical trial which utilized an aptamer designed to inhibit selective isoforms of VEGF.10 Macugen treatment resulted in superior outcomems compared to natural history and PDT. Subsequently however much greater improvements in acuity were demonstrated with a different anti VEGF ranibizumab. 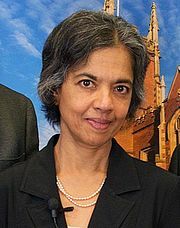 This antibody molecule which acted against all VEGF isoforms yielded impressive trial results and after two years of monthly treatment with ranibizumab there was average improvement in treated eyes of approximately two lines of visual acuity.11,12 This contrasted with the two line drop in acuity in untreated controls or in PDT treated eyes and a one line drop in vision in pegaptanib treated eyes. The pivotal trials of ranibizumab led to a paradigm shift in the management of wet AMD but came at a huge cost to health care providers as patients required monthly invasive administration of treatment of an expensive drug without any clear indication of when treatment may be ceased. Consequently we undertook a comparative effectiveness trial of ranibizumab versus an alternative vastly cheaper anti VEGF agent (bevacizumab) in the inhibition of VEGF in neovascular AMD (IVAN trial). The IVAN trial showed that ranibizumab and bevacizumab had equivalent effects in terms of the average improvements in distance and near acuity and reading speed.13,14 In the IVAN trial we also tested a reduced frequency of re-treatment regimen compared to monthly administration and here likewise there were no statistically significant differences in the multiple functional outcomes, though there was a marginally greater reduction in retinal thickness in the eyes of the monthly treatment group. Figure 3: FA and ICGA of an eye showing polypoidal variant of neovascular AMD. OCT reveals hyperreflective material which after 12 months of treatment with antiVEGF shows reduction in thickness of the material. However a well defined area of hypreflective material remains with variation in the density of the material giving a streaky appearance. This material co localises to regions of fibrosis seen on colour imaging. An improved understanding of the evolution of fibrosis and its impact on function is a critical step in any further development of therapeutics in this field. 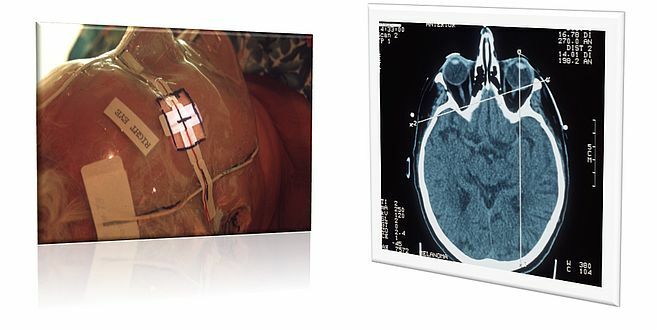 Notably there has been a stagnation in terms of a lack of innovative newer treatment paradigms for improvements in function and or an increase in the re-treatment interval thus with reductions in the burden of treatment. The introduction of anti VEGF therapies has resulted in an enormous increase in health care resource utilization but is likely to be mitigated by the reducing levels of severe visual impairment the economic impact of which is enormous. Donders, F. (1854) Beitrage zur pathologischen Anatomie des Auges. Graefe’s Arch. Clin. Exp. Ophthalmol. 1, 106–118. Wong TY, Chakravarthy U Klein R, Mitchell P, Zlateva G, Buggage R, Fahrbach K, Probst C, Sledge I. The natural history and prognosis of neovascular age-related macular degeneration: a systematic review of the literature and meta-analysis. Ophthalmology. 2008 Jan;115(1):116-26. Casalino G, Bandello F, Chakravarthy U. 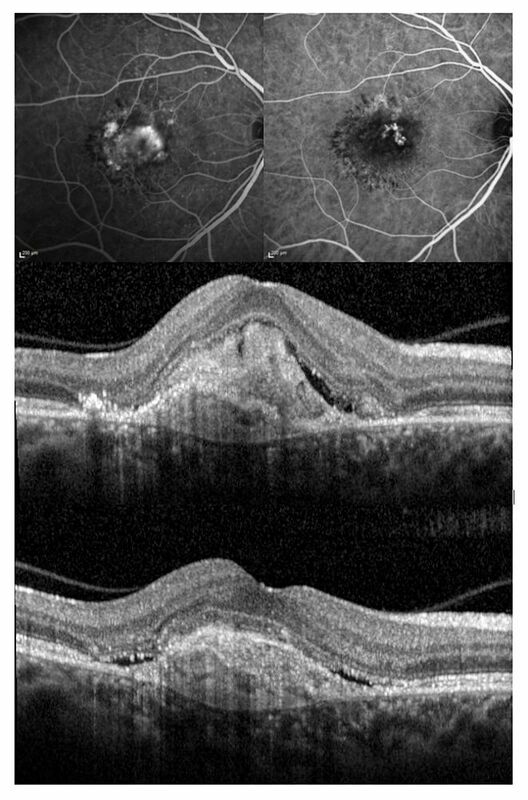 Changes in Neovascular Lesion Hyperreflectivity After Anti-VEGF Treatment in Age-Related Macular Degeneration: An Integrated Multimodal Imaging Analysis. Invest Ophthalmol Vis Sci. 2016 Jul 1;57(9):OCT288-98.